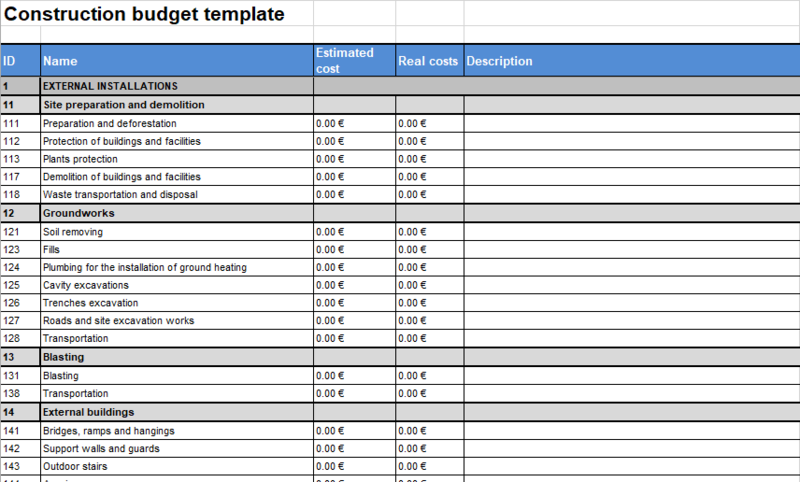 Get a construction budget template that is ideal for managing the budget for: stores, warehouses, apartments, agricultural buildings, governmental buildings, plants, seaports, airports and more. Fizure Construction Budget Template helps you stay on top of job costs with less hassle. It was created for project managers, by project managers. Jobs are divided into chronological phases. Neither too broad nor too detailed. Ideal for estimating, forecasting and cost management. 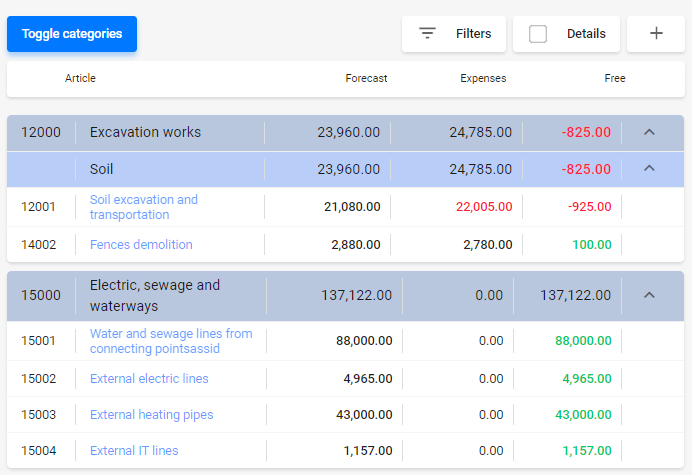 Helps track your project profitability. Should you ever outgrow this template and need a more powerful way to manage your project budget, check out Fizure budget tracking software. Use our 14-day free trial to manage your project costs, contracts and contacts easily and all in one place.